Plein Air Painting: Painting on-site, or the “en plein air,” a French term meaning “in the open air.” Also, a painting done outside rather than in a studio. 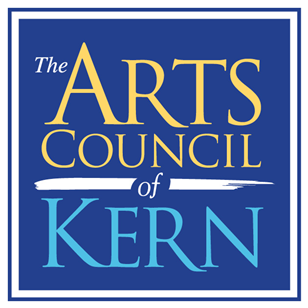 4/8, 8 a.m. -11:00 a.m, – Kick off Artist’s Morning Reception, Kern County Museum, grab a Covenant coffee and meet the artists and watch them paint at the Kern County Museum. Tickets for the Gala on 4/13 will be available for purchase, $45. 4/9, 15 professional artists will be painting throughout Kern County. 4/11, 2 p.m.-5:30 p.m. – Plein Air Downtown, watch the artists paint downtown around 19th and Eye. 4/11, 5:30 p.m. – 7p.m. – Bakersfield Art Association sponsored Artist Meet and Greet. Meet the painters over a glass of wine at the Bakersfield Art Association (1607 19th St.) and view their paintings of downtown. 4/13, 5:30 p.m. – 8 p.m. – Awards and Sales Gala, Betty Younger Sculpture Garden, 1330 Truxtun Ave.
4/15-5/30/19 – Plein Air paintings that don’t sell at the Gala will be on display at the Access Center 1330 Truxtun Ave.
Lead sponsor on all promotional materials including all marketing. Tickets for 16 to Artist Meet-and-Greet and Wine Reception with first opportunity to purchase work. 2 tables of 8 at Award Sales & Gala. Listed in Gala program, table tents and welcoming signage. Sponsor on all promotional materials including all marketing. Tickets for 8 to Artist Meet-and-Greet and Wine Reception with first opportunity to purchase work. Table for 8 at Award Sales & Gala. Tickets for 4 to Artist Meet-and-Greet and Wine Reception with first opportunity to purchase work. Tickets for 8 at Award Sales & Gala. Tickets for 2 to Artist Meet-and-Greet and Wine Reception with first opportunity to purchase work. Tickets for 4 to Awards Sales gala. Tickets for 2 to Award Sales & Gala.